What more perfect setting is there for a California wedding than San Francisco? Some of our professional San Francisco wedding officiants have been marrying couples in San Francisco for over a decade, and we’re proud to share some of the wedding planning information we’ve learned over the years. San Francisco is a beautiful, picturesque city with incredible sights as the backdrop for your wedding ceremony. Enjoy stunning views of the bay, gorgeous beaches, or the beauty of Golden Gate Park. Or, if indoor vows are more your style, choose one of the many one-of-a-kind wedding venues located throughout the city. Cali Officiants is here to make your San Francisco wedding ceremony one to remember. Not only do we match you with one of our professional San Francisco wedding officiants for your special day, but you speak directly with that officiant before you ever sign a contract. Once it’s time to plan your ceremony, you can meet with your officiant in person, or enjoy the convenience of planning via video chat or telephone. Or convenient online booking process allows you to sign your contract and make your payment online. 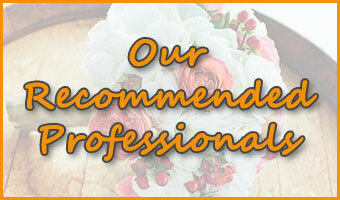 Respecting your time, and making your ceremony planning as enjoyable as possible, are our goals. Golden Gate Park – Perfectly San Francisco in its appeal, Golden Gate Park has a wedding venue for everyone. If money is no object, go wild and reserve the California Academy of Sciences, where you can incorporate a rainforest, aquarium, planetarium or other natural wonder into your special day. Other beautiful venues for your wedding include the Conservatory of Flowers, and the ever-popular Shakespeare Garden. Presidio & Presidio Heights – With breathtaking views of the Presidio and the Golden Gate Bridge, this is the ideal area of San Francisco for your wedding. The Golden Gate Club, a historic standby with Spanish Colonial Revival beauty and walls of windows, is a highly popular wedding venue, as is the captivating waterfront Cliff House. Meanwhile, the Chapel of Our Lady couldn’t be a more picturesque and quaint chapel building for your ceremony, and the non-denominational, Craftsman-style Swedenborgian Church is ideal for both ceremony and reception. Embarcadero & The Financial District – This vibrant neighborhood is the financial epicenter of San Francisco, with every amenity, abundant parking and more. It’s also home to some of Cali Officiants‘ favorite wedding venues and ceremony spots, such as the glamorous Julia Morgan Ballroom and the elopement favorite, Cupid’s Span at Rincon Park. North Beach – If you want close proximity to the water and multiple options for a unique wedding venue, look no further than North Beach! Bimbo’s 365 Club is an art deco favorite, and a wedding locale your guests won’t forget. Consider also the Fort Mason Center for Arts & Culture, offering a variety of unique event spaces for every type of wedding celebration. The Haight – Most of the ’60s flower child vibe has evaporated, replaced by an upscale-boutique-meets-hipster-chic atmosphere. And, while there are few spots to host a full-scale wedding (try the still-hippie-approved Red Victorian), the Haight could be the perfect pop-up elopement spot for just the right couple. SoMa District – Also known as South of Market, this developing neighborhood has a hip downtown vibe that mixes industrial warehouses, swanky clubs, art studios, and a wide variety of businesses. It also features unusual wedding spots such as Temple Nightclub as well as breweries, restaurants, museums and more. Treasure Island – Located just across the Bay Bridge, Treasure Island offers a destination wedding feel without the airfare or headache. You’ll quickly forget how close you are to San Francisco! Consider marrying in one of the urban wineries located around the island, or exchanging vows and clinking glasses in the Administration Building Lobby. If you’re planning a wedding and need one of our amazing San Francisco wedding officiants, look no further than Cali Officiants! We’ve assembled a team of professionals who love what they do and honor marriages for all couples. Whatever you’ve envisioned for your wedding ceremony, from religious to secular, traditional to eclectic, we can make it come to life. If you’d like to check our availability for your wedding date, click here to contact us! When you do, someone from our team will respond quickly with additional information, pricing for your date, and a suggested officiant. Of course, we’ve also provided answers to our clients’ most Frequently Asked Questions. After contacting us, a member of our office staff will respond quickly to match you with an available officiant. If you have additional questions, take a look at our Frequently Asked Questions> page for more information. For your convenience, here’s a link where you can learn all the marriage license requirements in San Francisco, California. If you would like to receive more information and pricing for your wedding date, please check our availability for your date and schedule a consultation today! We would love to put Cali Officiants‘ extensive experience to work for you, by connecting you with some of the Bay Area’s very best caterers, photographers, DJs, florists, and more. If you’d like to see who we suggest for all your wedding services, please click to visit our recommended California wedding professionals and venues page. Or, if you’re ready to chat more about your wedding ceremony and how Cali Officiants can make it magical for you, click here to contact us. We can’t wait to bring your dream ceremony to reality!